Cloves have been used in different societies for a variety of reasons for a very long time. In fact, some of the earliest datings of the use of clove oil in society go as far back as 1721 BC in ancient Syria. They have played a vital role in both ancient Chinese and ancient Indian medicine as well as their respective cuisines. You’re probably most likely to have come across cloves as a spice in your local supermarket and they’re widely used in Indian, Chinese and many Western dishes and desserts. They have a strong and aromatic odor that’s easy to recognize and notably distinguishable from other spices. They’re often used in spicy curries and other meat dishes and pair well with cinnamon, star anise, allspice and red wine amongst others.In terms of ancient medicine, the cloves and their essential oils have been utilized largely for their potent effects as a natural analgesic (or pain reliever) and are very effective in terms of treating headaches and general pain. This is good news if you’re prone to getting headaches from stress, as they’re a safe and natural alternative to many of the pharmaceutical painkillers we’re familiar with and the side-effects that come with them. The effects of a clove overdose are incredibly rare and mild – worst case scenario is an upset stomach, and that’s only if you drink an excessive amount of the oil. Take two or even one more painkiller than you’re supposed and you could have nausea, headaches, vomiting and even die if you take too many. So the decision to try natural products first as a treatment for different ailments is always a good idea. I’ll explain the many healing aspects and uses for this amazing essential oil in the article below – so keep reading! 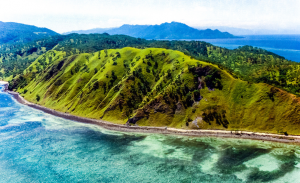 The Maluku Islands in Indonesia. The clove tree is an evergreen tree that originated on the Maluku Islands in Indonesia, however the tree has been commercially cultivated throughout the east and is even grown in parts of the US – so it’s readily available all year. The flower buds of the plants are harvested and dried before they bloom and this is what we know as the clove spice. Cloves are well known for their various medicinal properties and can be used to help relieve pain such as headaches and toothaches, indigestion, coughs and asthma, flushing toxins from your blood and boosting your overall immune system. 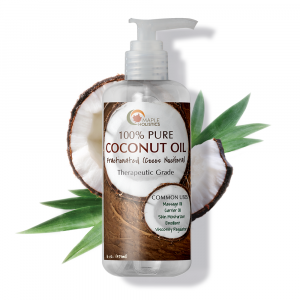 The oil is one of nature’s most vital cure-alls and has proven antiseptic, antimicrobial and antifungal properties which make it suitable for treating internal and external infections whilst moisturizing your skin (externally) and nourishing your internal system with nutrients, vitamins and minerals. It’s rare to find modern pharmaceutical treatments that can effectively treat the symptom they’re designed to treat without creating additional side-effects. So I personally take comfort in the fact that a simple, organic and natural product can have the same effects and more without the high cost and risks involved with many modern treatments. Clove essential oil is a highly concentrated form of the spice and is one of the richest natural sources of Eugenol – a chemical that is widely used in most pharmaceutical products for it’s potent antiseptic and analgesic qualities. The oil also contains large amounts of vitamin A and C as well as minerals such as sodium, phosphorus, iron, potassium and calcium. Unlike most seed or pod-based essential oils, clove oil is extracted through a process of steam distillation and not cold or hot pressed. The pods are harvested and crushed in order to stimulate the release of the phytochemicals, nutrients and vitamin rich oils that are the base component of the essential oil. The pods are then added to a vat of boiling water and left to ‘cook’ for roughly 5-6 hours. During this time, the oils of the organic matter (pods) are extracted through the process of evaporation and are then contained in the vapor that forms as a result. The vat is connected to a separate cooling chamber and the difference in pressure, forces the steam to move into this chamber. As time passes, the steam condenses and forms droplets that gather at the base of the chamber and make-up the liquid of pure extract that we know as the essential oil. Steam distillation is one of the oldest methods of distilling oils from organic matter and is still regarded as the best means to do so. The process produces the highest grade of essential oil with no added chemical or bacterial impurities – a common occurrence with other solvent based methods of extraction that utilize harmful chemical solvents and alcohol to in the extraction process. So always be sure to know how your essential oil was made, as these chemicals can contaminate the oil and enter your body when ingested or applied topically. The analgesic properties in the oil can ease the pain of teething and keep your child’s mouth clean and fresh. The strong analgesic and antiseptic properties make clove essential oil ideal for oral use. The oil is often included as an active ingredient in toothpastes and other dental products because of this. It can easily be applied to a cotton swab (4-5 drops) and gently rubbed onto the affected tooth to help relieve the pain. However, the oil also helps to kill off any germs and bacteria that may linger in your mouth and cause infections or worsen your pain and can be used as a natural mouthwash or in the process of oil pulling to help treat this. It’ll also eliminate bad breath very effectively and should be used with Tea Tree Oil to help strengthen its healing and freshening effects. With regards to teething and using the oil on young children – we always recommend consulting a doctor or dentist before doing so, as the oil can have adverse effects on children under the age of 8. That’s not to say that a applying a very small amount (1-2 drops at most) to the affected area will have immediate adverse effects on a young child – but regular use and larger dosages are not advisable. That being said, the same analgesic properties in the oil that help to relieve toothache, can ease the pain involved with the teething process and keep your child’s mouth clean and fresh. But be cautious when using the oil for teething, rather than put your child’s health at risk. I recommend using sugar and coconut oil as a natural exfoliator. The great thing about using Clove oil on your skin (and particularly your face), is that it has a low comedogenic rating, and so it won’t clog up your pores or leave a greasy layer on the surface of your skin. One of the leading causes for acne and pimples is the buildup of excess sebum oil and dead skin cells on the surface of our skin. These oils and skin cells then clog or block up our pores and cause inflammation and infection that leads to the development of sores (which we know as pimples or acne). The potent antiseptic and antimicrobial properties of clove essential oil (not to mention the rich vitamin C, potassium and calcium content of the oil) help to clear your skin of the excess oil and dead skin cells, bacteria that may cause or lead to any further infection, inflammation or irritation on your skin as well as reducing the pain that is common with pimples. This means that your pores will be left clean and clear and your skin will remain balanced – especially good news for those who have combination or naturally oily skin types. The oil can be applied topically as a natural skin toner. To use it, simply go through your facial routine as per normal (I recommend using sugar and coconut oil as a natural exfoliator) and rinse your face. Gently pat your face dry with a towel, apply the oil to clean cotton swab (3-4 drops) and wipe your face with it. You can apply more oil to another cotton swab if you feel you need to. Allow the oil to sit on your skin for 5 minutes and follow up with a warm water rinse. If your skin-type is not naturally oily or combination, you may leave the oil in over the course of your day. However, leaving any oil on the surface of your skin is not advisable if you have oily skin, as it can lead to an oil imbalance as your skin generally produces lots of oil over the course of the day. 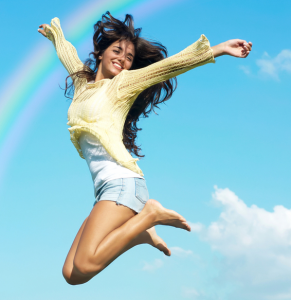 A vital aspect of maintaining good health and keeping your energy levels up. 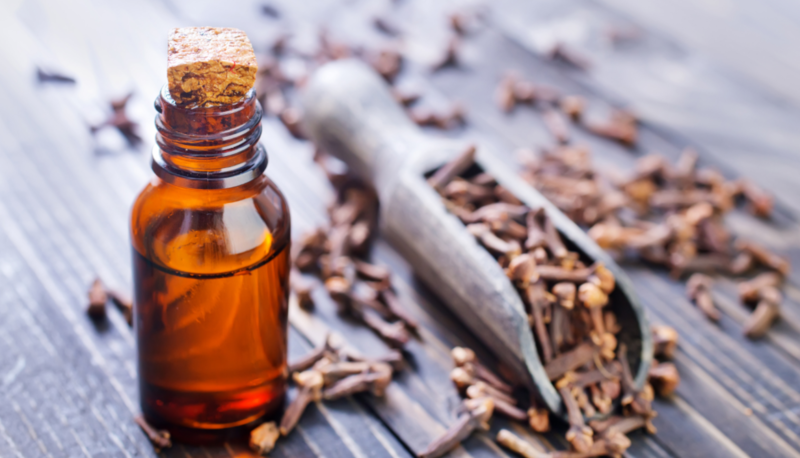 The high content of Eugenol found in clove essential oil has also been linked to its effects as a natural stimulant. For centuries the oil has been used as a natural stimulant and energy booster in traditional medicines because it has a lasting effect, but is also soothing and can help to relieve you of stress – which is why the oil is so popular in aromatherapy. 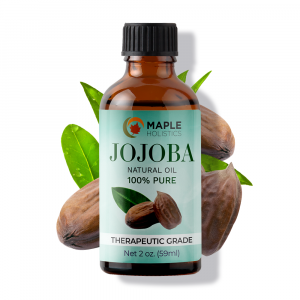 The oil also helps to stimulate your body’s metabolism thus aiding its ability to digest food and deal with indigestion, whilst also increasing blood circulation and helping to lower your body temperature – very effective in treating the symptoms of a fever. By increasing your blood circulation, you’ll also help to flush toxins out of your blood stream quicker, thus helping you to get rid of an infection quicker and more effectively. 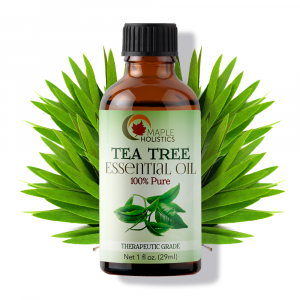 The oil is safe and non-toxic, so it can be ingested in small amounts or when diluted in a suitable carrier oil or a glass of warm water. By doing this, you can also help to relieve any pain you might be experiencing as well as induce a healthy sleep cycle, thus allowing your body to recover its strength and regenerate – a vital aspect of maintaining good health and keeping your energy levels up. Clove essential oil has quite a strong, musky odor by itself – but it works well as a helpful tool in aromatherapy because it can calm the body and mind, as well as rejuvenate the senses and boost energy levels. The oil works well in both a diffuser and an oil burner and can also be mixed into wax to form your own scented candles. I would say that the oil works best when blended with other essential oils to make it smell better, as well as increase its effectiveness. 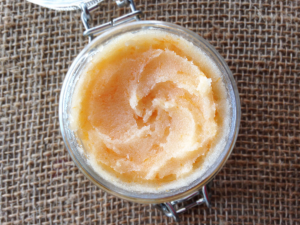 For blending, I would recommend Orange oil, Tea Tree oil, Bergamot oil, Rose oil, Peppermint oil and Geranium oil. Basically oils that have more floral or top note scents to help counter the fixative, musky properties of Clove oil’s scent. Clove essential oil should be avoided during pregnancy. Like anything in life, too much of a good thing may have negative effects on your health and the same rule applies to the use of essential oils. Clove oil is a particularly potent natural extract because of its high Eugenol content and so should it be utilized in controlled and regulated doses. Some of the adverse effects commonly associated with a large intake of clove oil are stomach aches and lowered blood sugar. However, in the case of young children – the oil should generally be avoided at all times, as it has been linked to causing kidney and liver failure in a few, rare cases. The same applies to using the oil during pregnancy as the oil can pass to the child through the umbilical cord or even during breastfeeding through the breast milk. 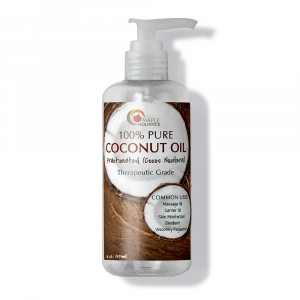 Again, cases like these are rare and not commonplace, however it’s best to consult a doctor if you decide to treat an ailment or illness with the oil and make sure that you dilute it in a suitable carrier oil (coconut, canola or olive oil, as well as other essential oils) or in warm water before using the oil internally or on sensitive skin. 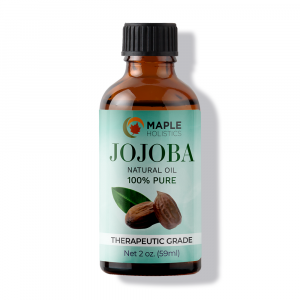 Read about Jojoba, Bubble Bath and Vitamin C Serum here at Maple Holistics! In conclusion, any natural product that features in as many different pharmaceutical products as Clove essential oil does, can definitely be considered an effective medicinal treatment when used by itself. In fact, many would concur that it’s better to use the oil in its raw, organic form as it’s free of any chemical additives and has less risk of causing side-effects and allergic reactions in your body when used regularly. Out of all the essential oils I’ve written about in the past – Clove essential oil is definitely one of the more important ones, as it’s incredibly effective, readily available (and therefore cost-effective too) and has a wide variety of uses. The oil can be easily blended to help maximize its healing properties as well as making a pleasant fragrance that can relieve you of stress, boost your energy levels and support healthy sleeping patterns. In terms of getting the best value for your money – Clove oil should be on the top of your list when it comes to natural products. But don’t just take my word for it, try it for yourself and see – you won’t be disappointed!